The Fundamental sailing course was created for Pinnacle members and their crew, with limited or no sailing experience, that seek to build the skills needed to handle their Pinnacle yacht safely and confidently. The course is comprised of five lessons which are conducted on the water, plus one online seminar. 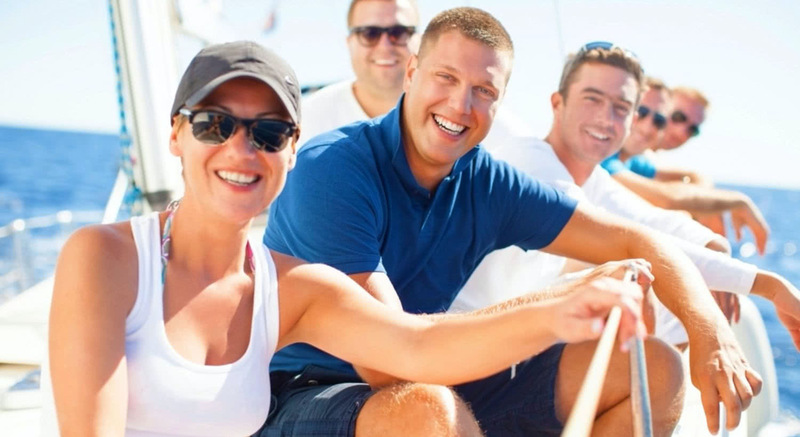 On-the-water lessons occur early in the season, prior to your first personal use of your yacht and do not take away from your allotment of time. The online seminar is prerecorded and can be viewed anytime after the lesson series has begun from your computer or mobile device. Most lessons happen on weekday evenings, and on weekend days and evenings, such that they do no disrupt typical business hours. An online course catalog is published in the Spring which presents multiple course schedule options to fit your particular needs. $650 per person for the entire series.